Thrax. 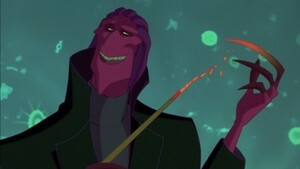 He is the main villain from the film Osmosis Jones. Wallpaper and background images in the Childhood Animated Movie Villains club tagged: photo non disney thrax osmosis jones 2001 movie.